Sorry folks, I know it's been a while since my last post. Between work and getting ready for the holidays, I was pretty busy and didn't have a lot of extra time for anything else. But now that the holidays are over, let's get back to some key issue comics. While I was away, it was announced that Patrick Wilson, who played Nite Owl in The Watchmen, was cast in the "now in production" Aquaman movie. Wilson will be playing the role of Orm Marius, Aquaman's half brother, that is also known as the villainous Ocean Master. 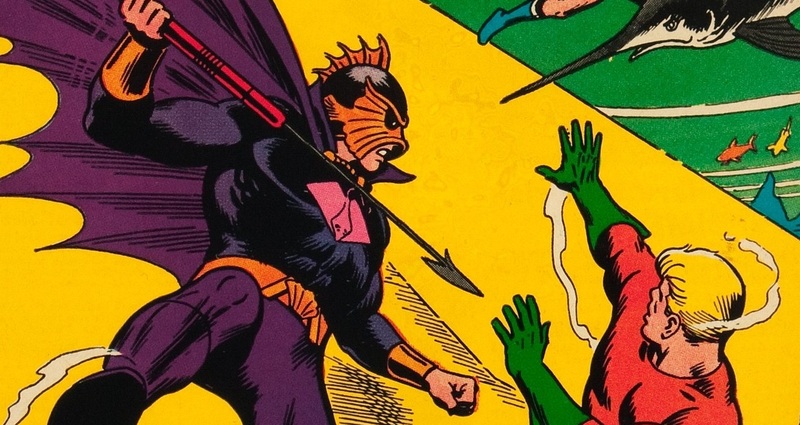 Tom Curry is the father of both Ocean Master and Aquaman. He is a human that fell in love with the exiled Atlantean princess, Atlanna. They fell in love and had a baby called Arthur, who would grow up to be Aquaman. After the death of Atlanna, Tom remarried and had another child, Orm, with Mary O'Sullivan, who was also a human. Since Orm has no Atlantean blood in him like Aquaman does, he doesn't have any of his abilities. Orm was always jealous of Aquaman and his anger often got him in trouble as a lad, and was always being bailed out by his brother. One day, Orm was struck in the head by a falling rock and lost his memory. He couldn't remember who he was or that he even had a brother at all. 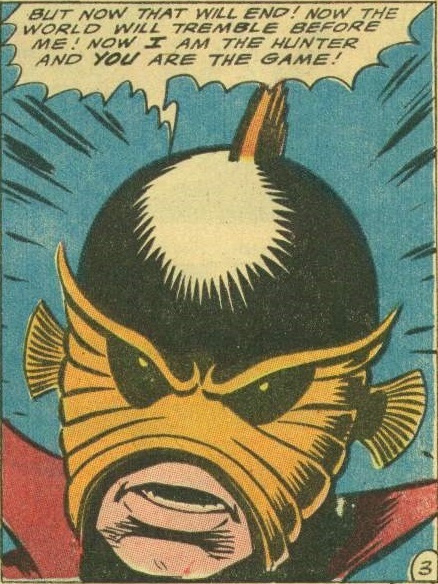 Soon after that, Orm vanished, but he would return years later as Ocean Master. I'm a little surprised at how few of these comics have been graded by CGC so far. At the time of this writing, there are only 188 copies listed on their census. Most of the copies are graded between 5.0 VG/F all the way up to 9.6 NM+. There are three highest grade 9.8 NM/M copies, none of which have been restored. So if your looking for a nice high grade copy, there are some out there. Whether they are for sale or not, that's a different story. Don't let these census numbers fool you though. This book might not be quite as rare a you may think they are. Although I don't know have print run information, there are a lot of raw copies floating around out there. And let's not forget the copies that were graded by CBCS, but since they still have no census data available, there's no way of knowing how many there are. 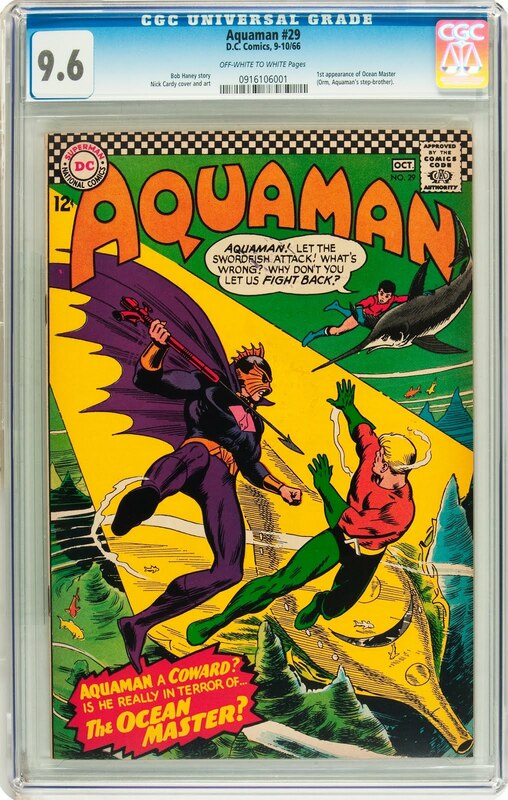 It wasn't that long ago that Aquaman comics were very affordable, even for key issues, but ever since they announced that the character was going to appear in his own movie, values for these early Aquaman key issues has soared through the roof. Just one example of for 8.0 VF copies. In 2012, before all of the hype, a copy sold on eBay for the small price of $39.99, and after the sales went up to $575 in 2015. It was the same thing with 9.0 VF/NM copies. In 2012, a CGC copy sold for $43.25 pre-hype, and jumped up to $1199.99 in Sept of 2016. A buddy of mine was hunting for a lot of these early Aquaman key issues at the very beginning of the movie rumors, and now I can understand why. I really don't know where the values will continue to go, but from looking at other hype books like this one, I don't think it's going to go up, but I've been wrong before. However, I do know that if you have a copy, now might be the best time to throw it out in the market and try to make a nice chunk of change.